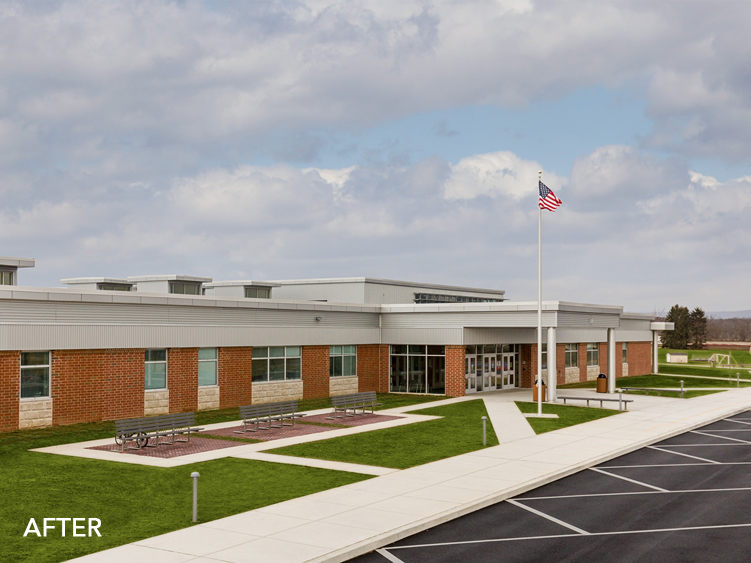 The Carlisle Area School District decided to renovate and improve their two identical middle schools in sustainable manners. 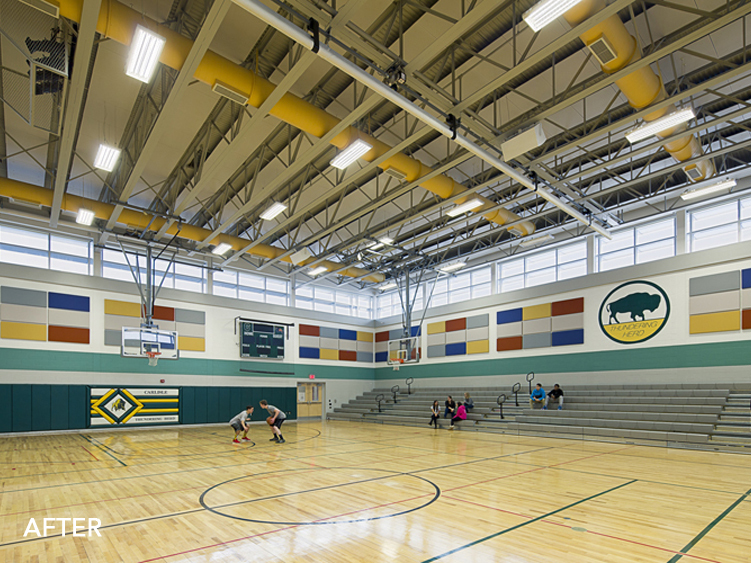 The Lamberton Middle school has achieved LEED Gold Certification and the Wilson Middle School has achieved LEED Platinum Certification. Along with a multitude of sustainable and energy efficiency upgrades, both 97,000 square foot buildings received classroom and administration additions, as well as site reconfiguration and upgrades. Lamberton and Wilson Middle Schools were built in 1979 as identical one-story buildings housing grades 6, 7, and 8. The original building design followed educational practices of the day and provided three classroom pod areas, each having an open plan with no corridors. This design internalized most of the classrooms, separated only by movable partitions, with very few rooms having windows providing daylight or views outside. 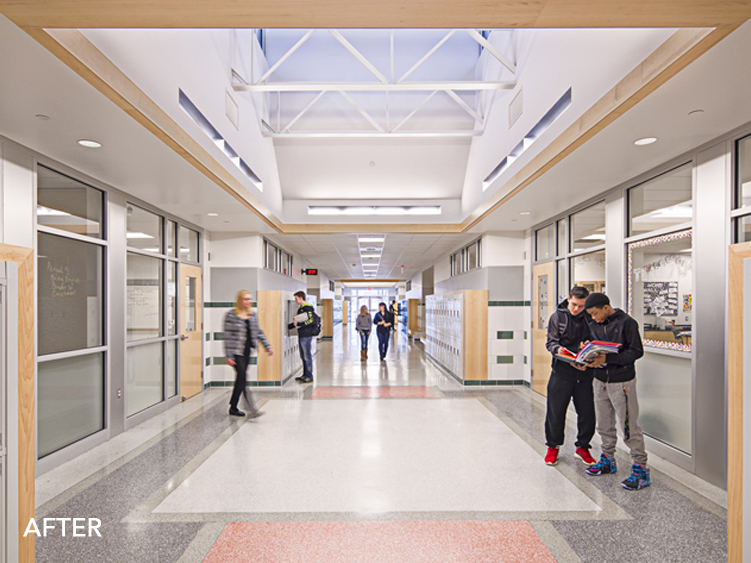 As part of the renovation project, the classroom areas were completely reconfigured, giving each grade their own separate corridor organized around a central commons between two Teaming areas per grade. 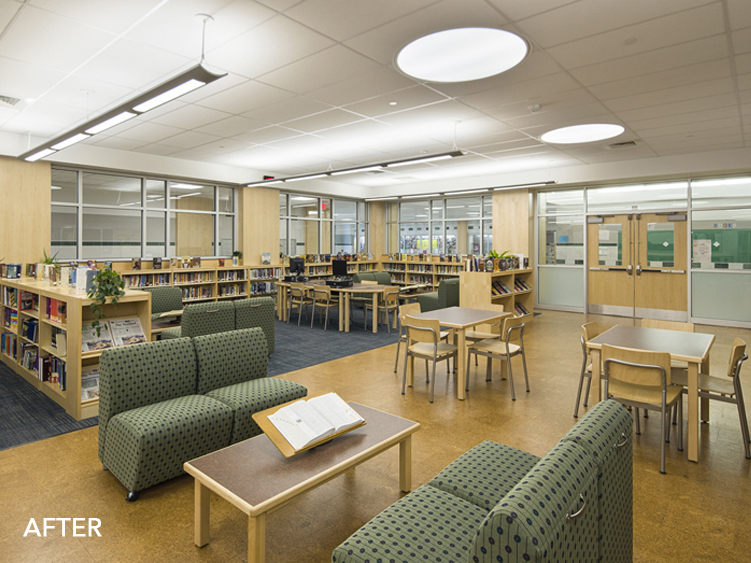 Each Team area is defined by a new daylight monitor, bringing natural light into the classrooms and corridor spaces. These monitors along with tubular skylights, ensure that each classroom has natural light and reduces the need for artificial lighting. The renovated Middle Schools also have 'smart' lighting fixtures and outlets throughout which dim and turn off when students and staff are not present. The renovated Middle Schools will be using an estimated 56% less energy per square foot per year than the existing, smaller buildings did. 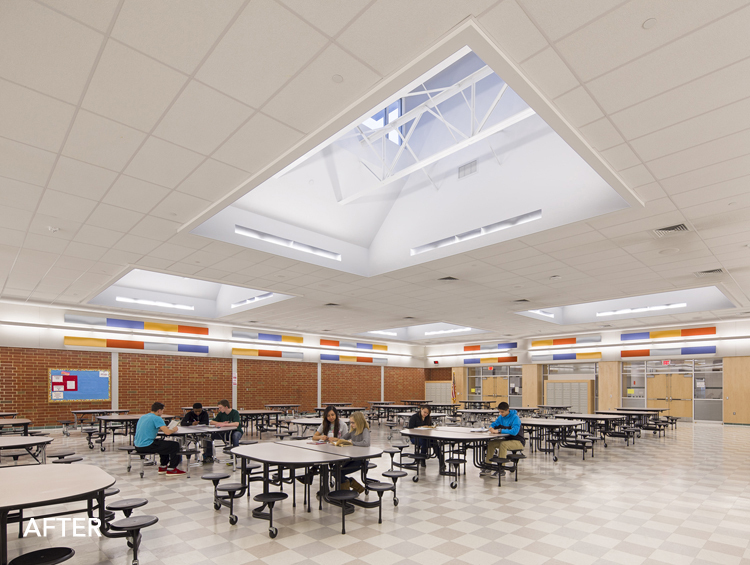 Both schools have been featured in the August 2015 American School & University Educational Interiors Showcase Issue, the premier competition honoring educaion interiors excellence. 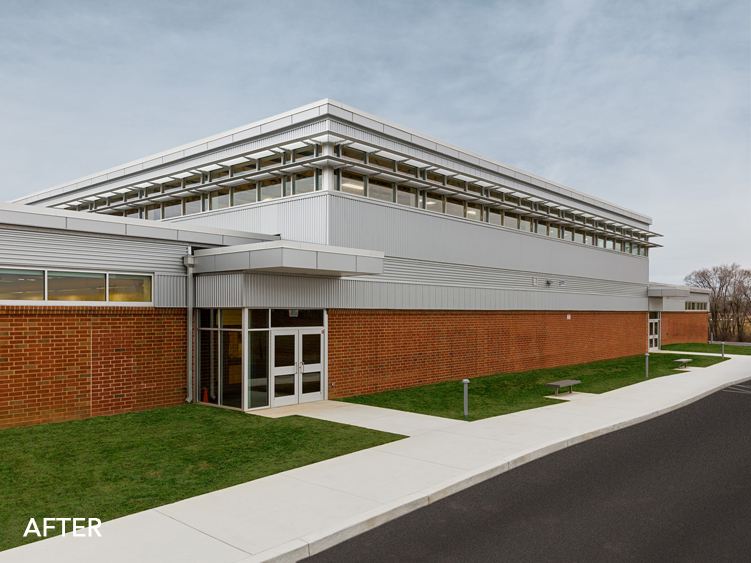 The projects have also recieved 2015 Green School of the Year for K-12 category from the U.S. Green Building Council Central Pennsylvania Chapter.